Israel has evacuated some 800 members of the controversial Western-backed White Helmets from Syria to Jordan to be resettled later in the UK, Canada, and Germany, according to statements from Tel Aviv and Amman. 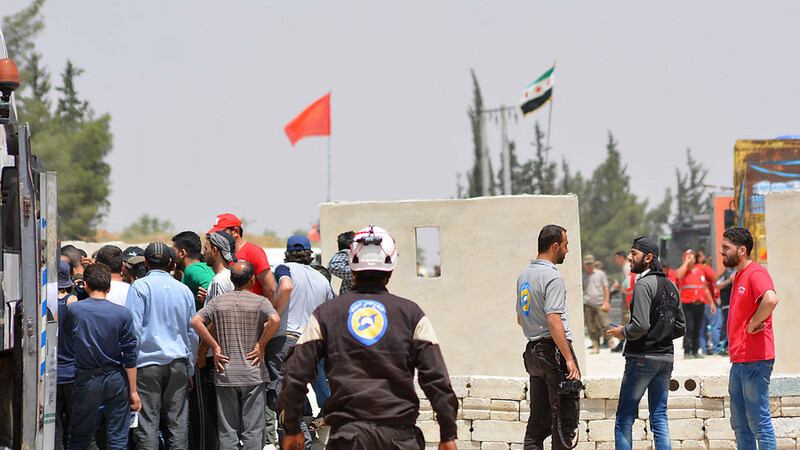 Jordan, for its part, has also acknowledged that it allowed the UN to arrange for the entry and passage of 800 Syrian “civil defense workers,” according to Reuters, citing Mohammad al-Kayed, spokesman for the Kingdom’s Foreign Ministry. Amman acceded to give them temporary asylum in the country before they settle in the West. It did not clarify to which organization, if any, the evacuees belonged. German tabloid Bild reported that hundreds of self-described aid workers operating exclusively in rebel-held areas crossed into Israel from southwestern Syria overnight on Sunday, citing its own correspondents in the Israeli-occupied Golan Heights. The White Helmets’ passage has been facilitated by Israel, according to Bild, which reports they have been transferred through an Israeli military base. The evacuation kicked off at 9:30 pm local time on Saturday and was expected to continue into the night. Several roads were put on lockdown by the army and police as part of preparations for the exodus. Israel previously admitted that it has been providing humanitarian assistance to Syrian militants, treating over 1,000 wounded rebel fighters in its hospitals. According to Israel’s ex-Defense Minister Moshe Ya’alon, the assistance was granted under the condition that the militants would not let Islamic State (IS, formerly ISIS/ISIL) and Al-Qaeda affiliated fighters slip into Israel and would not do any harm to the population of Druze villages. It was supposed that the White Helmets will not stay in the Jewish state for longer than is needed to transport them to the Jordanian border. Once in the Jordanian territory, the Syrians will be confined to a specially designated restricted area where they will stay for a maximum of three months until handed over to one of the Western countries, Al-Kayed noted, adding that the scheme should not place any additional burden on Jordan, as the organization of their passage has been arranged by the UN. 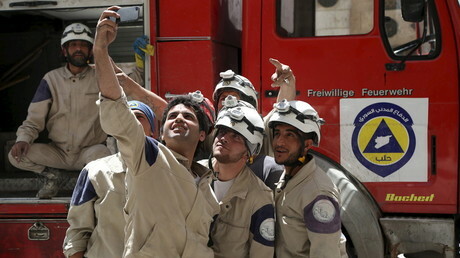 It’s yet unclear how the members of the White Helmets, who have on multiple occasions been reported as dealing with Al-Qaeda-linked militants, will be distributed among the potential recipients, with Bild reporting that it is yet unknown how many of them will come Germany’s way. A looming evacuation of the White Helmets from Syria was first reported by CBS News on July 14. The broadcaster reported that the issue was raised by US allies in conversations with US President Donald Trump on the sidelines of the two-day NATO summit on July 11- July 12. Reportedly, UK Prime Minister Theresa May personally interceded on the White Helmets’ behalf during Trump’s visit to the UK, a day after the summit. On Friday, CBS News reported that the operation was to be launched “very quickly” and proceed in accordance with a joint plan, thrashed out by the US, the UK and Canada.